Apple disappointed analysts with its iPad sales figures when it announced its fourth quarter results for 2012. The numbers were dominated by the iPhone, selling 26.9 million in the three months to 29 September, which equated to a 58% rise year on year and almost 48% of Apple’s entire sales for the quarter. 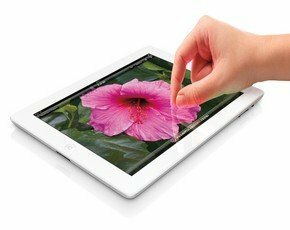 Many expected a similarly large figure for the iPad, but the number came in at 14 million shipped in the fourth quarter, raising concerns that the momentum for the market-leading tablet was flagging. “Expectations were for volumes closer to 20 million for the quarter,” said Carolina Milanesi, research vice-president at Gartner. “However, 14 million is a respectable number considering that the rumours on iPad Mini were mounting from the beginning of the quarter and, considering the holiday quarter, it should be expected that consumers would delay purchases on a device like a tablet. With its other products included – such as the sale of 5.3 million iPods and 4.9 million Macs – Apple hit $36bn in revenues for the fourth quarter and recorded net profit of $8.2bn. Cook also ruffled feathers on the earnings call by passing comment on Microsoft’s new launch to rival the iPad, the Surface tablet, running its new Windows 8 operating system. He said the device was "a fairly compromised, confusing product," adding, "I suppose you could design a car that flies and floats, but I don't think it would do all of those things very well".